Custom coil cords aren’t just for landline telephones anymore. Custom coil cords are everywhere. They are used in many applications, from headsets and instrument cords in music studios to car chargers for your cell phone. Because of their incredible versatility, they also have many uses across a wide range of industries, including Telecommunications, Medical, and the Military. Since it’s not practical to list out every single use for these types of cords, we’ve put together a list of the top three most common reasons you might choose to work with a manufacturer to create a coil cord instead of a standard cord. One of the main reasons to choose a curly cord over a straight cord is that you need it to be able to withstand being extended and retracted as a regular part of its daily function throughout the product’s life. This means that several measures are taken during the design process to ensure the final product is able to handle the additional stresses required of a coil cord. This could involve measure like including additional reinforcement near the connectors or choosing a more flexible conductor material. The primary feature of a custom coil cord is its ability to extend and retract. One of the reasons this feature is desirable is a simple question of saving space. 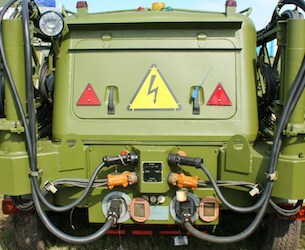 If a piece of equipment requires a cord with a long reach, that cord can be unwieldy when not in use. Straight cords that are wound into a coil near the equipment is not only a safety hazard, it can also lead to a shorter lifespan for the cord due to additional stresses like twisting and bending. Creating a custom coil cord can address both of these situations and many more. Custom coil cords are able to increase efficiency because they can be designed to carry different types of signal. For example, it might make sense to create a single curly cord that carries both electricity and data for a specific piece of equipment. Working with a reputable custom cable assemblies manufacturer to create a coil cord that consolidates several types of wires will not only make your workspace more organized, it is also safer. Due to their versatility, curly cords are all around us. These incredibly useful cords are used in a wide variety of ways because they are durable and convenient. As with other types of custom cables, it’s important to work with an experienced cable assemblies manufacturer when creating a custom coil cord. Meridian Cable has extensive experience designing, extruding, and coiling curly cords for many types of projects. No matter what the intended function for your custom cable, our team takes the time to understand all of your requirements to make sure we create a finished product that meets your needs. When you’re ready to get started on your next custom coil cord project, contact us at Meridian Cable Assemblies. We look forward to talking with you. Partnering with cable assemblies manufacturers to prototype can help you ensure a more successful solution. Working with cable assemblies manufacturers on prototypes is a great way to keep your production process running smoothly and end up with a cable assembly that performs the way you expect. While there are situations where an off-the-shelf cable can be used, it’s common that equipment has specialized requirements that can’t be met with a standard cable. 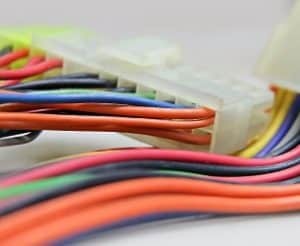 When dealing with these kind of specialized needs, working directly with cable assemblies manufacturers to create a prototype has many benefits. Here are a few of the more common ones. Anytime someone says the word “custom” many of us hear “expensive.” However, when talking about prototyping cable assemblies, that isn’t always the case. In fact, many times you can actually save money by working with a cable assemblies manufacturer on a custom prototype. One of the first ways prototyping can help reduce overall costs is when it comes to the price and availability of components. Creating a prototype can help you identify issues with the supply chain for components before you go to a full production run. Unavailable or overly expensive components can make a significant difference in the cost when producing a large quantity of units. Understanding these costs at a smaller scale allows you to make more informed decisions or adjustments before it’s too late. Aside from the availability and price of components, prototyping also allows you to get a clear picture of the overall production process. It’s not unusual to discover problems with the production of a cable assembly after the design phase. Producing a prototype gives you a much better idea of what it will take to create a larger number of products without making costly mistakes. By paying attention to the production process when creating a prototype, cable assemblies manufacturers are able to identify ways to streamline production. This, in turn, can make turnaround times much quicker when producing the desired quantities of the finished product. Testing a finished product is the best way to understand how effective it will be. By working with cable assemblies manufacturers to create a prototype, you are able to do thorough testing on a fully functional version of your product. This will allow you to get the clearest assurance that your finished cable will function as planned and whether it will be able to withstand the environmental conditions it will be subjected to during normal usage. There’s no question that working closely with cable assemblies manufacturers on prototypes allows you to produce cables that will work seamlessly with your equipment. Choosing a manufacturer with a great deal of experience with prototyping is a great first step toward producing a finished cable that functions as expected for as long as expected for a price that matches your budget. When you are ready to discuss your next custom cable prototype, contact the team at Meridian Cable. We look forward to talking with you! Because of their flexibility, custom cable assembly manufacturers work with a wide range of industries. The ability to create products that are truly custom makes cable assembly manufacturers valuable to many different types of organizations, from military to industrial. The main goal of any custom cable project is the accurate and reliable transmission of data and/or energy. In almost every industry, the push to improve the speed and minimize the size of equipment is often a primary goal. Because of this, the cables supplying data and power to these machines must be rethought and reengineered over and over again. That makes a custom cable assembly manufacturer one of the most valuable members of your team. But you may be wondering if custom cables are right for your industry. The answer is most likely yes, but here are a few of the industries we work with most often. This might seem like the most obvious industry on the list. 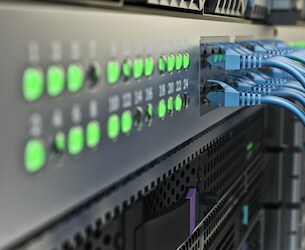 From fiber optic to ethernet cables, telecommunications companies rely heavily on both standard and custom cables to keep their customers connected. This industry is known for constantly working to improve data transmission speeds while maintaining or improving the convenience of their products. Working with a cable assembly manufacturer on prototyping new cables can help these companies stay on the cutting edge. 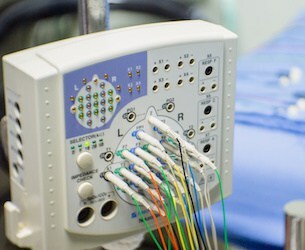 The medical industry might not be the first that comes to mind when you think about custom cable assemblies. The truth is, the equipment in healthcare facilities has specialized needs that can often only be met by a custom cable solution. Hospitals and other care facilities frequently require equipment that can be sterilized between patients. This can mean the devices, as well as their cables, must be able to withstand extreme temperatures and moisture, two of the most common elements that can interfere with the functionality of cables. Cables used in military settings must function as expected for as long as expected. In many cases, lives depend on it. To make things even more complicated, military equipment is often expected to function in a wide range of environmental conditions, from extremes in temperature to heavy vibration. Standard, off-the-shelf cables are often unable to meet all of the specifications. However, a cable assembly manufacturer can take all of the requirements into consideration during the design phase so each cable is tailored to the exact needs of the equipment. A good cable assembly manufacturer can take the specialized needs of an industry into account to ensure the best possible outcome. 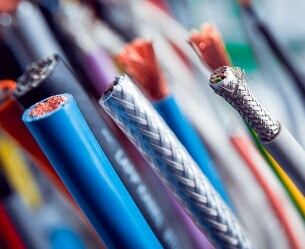 While telecommunications, medical, and military aren’t the only industries that benefit from custom cable solutions, they are among the most common. The team at Meridian Cable has the knowledge and experience to work on a wide range of custom cable projects. Contact us when you are ready to get started on your next custom cable assembly. We look forward to talking with you. Each component selected by a cable assemblies manufacturer affects the final performance of your finished product. When designing or maintaining a piece of equipment, a lot can depend on the decisions made by your cable assemblies manufacturer. Selecting the wrong gauge for the wire or a jacketing material that’s inappropriate for the environment can, at best, cause the cable to fail prematurely, and at worst cause harm to people and damage to equipment. 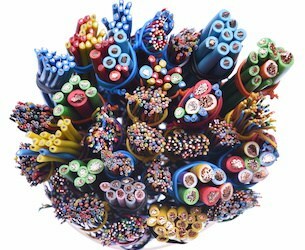 The number of options available when designing a custom cable assembly can be daunting. The good news is that an experienced cable assemblies manufacturer will help you select components that make the most sense for your project. To help you get an idea of what to expect, we’ve covered a few of the common questions most common questions we get during the cable design and manufacturing process. Where’s the best place to start when first talking to a cable assemblies manufacturer about a new project? With any new custom cable project, it’s always best to start with clear communication about the specifications for your equipment and the environmental conditions where the cable will function. Your custom cable design team uses the information you give them to make decisions about each and every component of your cable assembly. The environment and needs of your equipment are weighed against your project’s budget to make the best choices for your custom cable assembly. The more details you can give, the better the performance of your finished product. What questions will the design team ask at the beginning of the project? Does the cable need to extend and retract? Is the standard use condition static or dynamic? Will the cable need to withstand extremes in temperature? Does the cable need to be cleaned or sterilized regularly? Will it be exposed to sunlight or moisture? What type of signal will the assembly carry? Power, data or a combination of both? What type of data will transmit through the assembly? Should we use the best conductor, filler, jacketing, etc.? When designing a custom cable, “best” can be subjective. For example, a solid conductor of a particular gauge might be able to handle the amount of current or signal required but be too brittle for the amount of twisting and flexing needed from the cable. Another example might be choosing an aramid fiber for the outer jacket because of its heat resistance, but the cable will function in a “wet” environment. Since aramids absorb moisture, it would need to be coated with another material to be waterproof. There may be a better material that is heat and water resistance that is more economical. The design team should be able to weigh the specifications to determine which is the best choice for your budget. The many factors that go into choosing components for your custom cable can seem overwhelming if you don’t have a good working relationship and open communication with your cable assemblies manufacturer. The best way to get a quality finished product is to work with a team you trust and be prepared to share as much information as possible. Contact Meridian Cable when you’re ready to get started on your next custom cable project. Our team is happy to answer any of your questions. The right gauge conductors are key to making your custom design cables as effective as possible. It’s no secret that creating custom design cables is the best way to ensure your product or equipment meets all of your specifications. Because the conductor gauge directly affects the flow of electricity or signal through the final product, the choice you make is extremely important. Choosing the wrong gauge can result in a less efficient cable that might lead to unnecessary costs. A reputable custom cable manufacturer will help you make the right choice and get the most successful outcome. There are two main types of wire: solid and stranded. Solid conductors are a single, solid strand, usually made of copper. 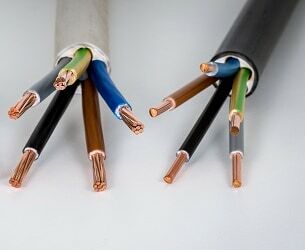 Stranded conductors are made up of smaller strands of copper that are twisted together to create a larger conductor. The main difference is that a stranded conductor is better able to withstand bending than a solid conductor. Additionally, solid conductors are less expensive to produce than stranded. For both types, the overall size of the conductor affects the flow of signal and electricity. Signal or electricity flows through larger gauge conductors more easily than it does smaller gauges. We refer to how easily the signal flows through the conductor as resistance. A wire with a conductor gauge that is too small is not providing the right amount of signal to the equipment it is powering. This could result in the equipment not functioning as it should. A too-small conductor gauge could also cause the wire to overheat, which may cause it to fail. While working with a larger conductor gauge seems like the safest bet, it’s not always the best option for your project. Larger gauges are able to accommodate more current, but they can be more expensive than all but the smallest gauges. In the end, the best gauge for your project is the one that closely matches your equipment specifications. Having an in-depth discussion with your cable manufacturer’s design team about the needs of your product is the most effective way to make sure you end up with a custom cable that functions as expected. When determining the gauge of conductors for custom design cables, the circumference isn’t the only consideration. The final length of the wire also affects the amount of resistance the current experiences. The longer the wire the more resistance there is, which weakens the signal. For longer cables, it may be necessary to use a larger gauge to counteract the resistance caused by the length. Choosing the right gauge can be a complex process that includes a thorough understanding of the final cable’s uses, length, voltage, and signal type, as well as many other considerations. Working with a cable manufacturer you trust can make all the difference to the success of the final product. The Meridian Cable team has extensive experience with a wide range of custom cable design projects. When you are ready to discuss your next custom cable, please contact us. We look forward to talking with you. Custom cable assemblies offer many benefits over off-the-shelf products…including cost. It’s possible there’s a standard cable that matches the needs of your equipment perfectly. However, it’s much more likely that you will have to make do with something that is almost right, which can lead to technical issues that can cause bigger problems down the road. This is especially true when your project’s requirements are specialized or complicated. While an off-the-shelf cable might seem like a quick and cheap option, custom cable assemblies have many advantages…and cost is one of them. Your first impression may be that custom cable assemblies are automatically more expensive than standard cables. This is not always the case. While a custom solution might be more expensive up front, better performance and longevity can save money because you don’t need to replace the assembly as often. At first glance, you might think it’s faster to pick a cable up off the shelf and simply connect it to your equipment. Unfortunately, it’s usually not that easy. In many cases, it’s a struggle to make off-the-shelf cables work for any but the most simple applications. Trying to retrofit standard cables takes time and money that could have been saved by working with a manufacturer to create a custom cable assembly. This one seems obvious, but custom cable assemblies are designed to work with your equipment and environment in mind. This means that they can not only take all of your requirements into account, but also be extensively tested with those requirements in mind to ensure a successful finished product. Because of this, you get a cable assembly that will function and last as expected. With an off-the-shelf cable, what you see is what you get. When producing custom cables, you are able to specify color, texture, and whether you need any type of labeling. This allows you to brand the cables or choose a color that makes it easier to identify. Color coding not only creates a more professional appearance, but also makes installation easier and repairs safer. We’ve covered some great benefits that custom cable assemblies offer over standard cables, but the most significant is that you have a product that does what you want it to do. There are applications that are too specific or complex to be adequately served by an off-the-shelf cable, but with a custom product the options are nearly limitless. There is certainly a time and place to use standard cables. However, there are also circumstances that call for a more custom option. With custom cable assemblies, you can be sure that your solution will meet the needs of your equipment and function how you expect. Working with a reputable, experienced cable manufacturer like Meridian Cable gives you even more peace of mind that you will get the performance you need. When you are ready to discuss your next custom cable project, don’t hesitate to contact us. We look forward to talking with you. A reputable cable assembly manufacturer ensures reliable products with a solid quality control process. The quality and reliability of the wires and cables a cable assembly manufacturer produces is often of paramount importance. This is especially true of cables and wires designed for military or medical applications, where the safety and longevity of the product has serious consequences. By working with a cable assembly manufacturer that has a thorough quality control process, you can rest assured that your finished cable is safe and functions properly. 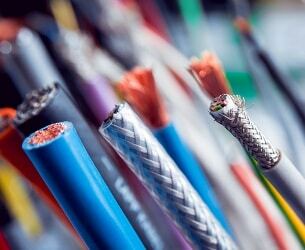 When selecting a cable assembly manufacturer, one of the first things you should look for is what certifications they hold. While there’s no certification that’s right for every manufacturer, it’s important that a manufacturer has the necessary qualifications to meet the needs of your project’s scale and intended market. ISO is an organization that sets standards for quality management that focuses on training manufacturers how to provide their customers with consistent, high-quality results. A manufacturer with an ISO certification has an efficient manufacturing process that will ultimately save you time and money while still producing a reliable product. While the ISO certification indicates a company has an efficient manufacturing process, the UL certification focuses on safety. As a globally recognized independent organization, UL is known for inspecting, testing, verifying, and certifying that specific products meet international safety standards. Working with a cable assembly manufacturer that has extensive experience in your industry or with projects similar to yours can really make a difference when you want to produce a reliable, high-quality product. Because they have a better understanding of industry requirements and expectations, they are able to ensure quality and come up with inventive solutions to common issues your type of project may face. No quality control process is complete without comprehensive testing procedures. Don’t be afraid to ask your cable assembly manufacturer about their testing protocols. They should be willing and able to walk you through the types of testing they do as well as any additional testing that may be appropriate for your project. The first and most basic type of testing is the visual inspection. A visual inspection can be helpful and shouldn’t be overlooked. However, it’s scope is fairly limited, and it shouldn’t be the only type of testing performed. Creating a prototype is a great way to ensure the finished product functions as expected. A cable assembly manufacturer is able to use a prototype to identify major design flaws and correct them before they become costly. Accelerated life testing simulates the normal types of wear and tear that happens to a product when in normal use. A manufacturer is able to design a series of tests to determine how resistant the product is to stress, strain, temperatures, pressure, voltage, vibration, and many other factors. Sometimes the most effective way to properly test a product is to bring in a third party. An independent tester can often bring a fresh set of eyes to the quality control process. A reputable cable assembly manufacturer should be open to this type of testing when appropriate. A custom cable assembly that falls short of requirements or fails before expected can be a costly or even dangerous mistake. Ensuring a reliable, high-quality finished product relies on working with a cable assembly manufacturer that has a strong quality control process in place. Meridian Cable has the necessary experience and qualifications to produce wires and cables that perform as expected. When you’re ready to discuss your next project, contact us. We look forward to talking with you. The right materials can make or break the function of a custom coil cord. A coil cord manufacturer does more to create a custom coil cord than just curl a straight cord into a spiral. Because they are meant to extend and retract, materials must be somewhat flexible in addition to the technical requirements dictated by the application. With the number of materials available, it’s difficult to choose the right one. Working with a cable assembly manufacturer can help you take the guesswork out of selecting materials that meet the needs of your project. At its simplest, a custom coil cord has the same basic structure as a standard straight cord: a conductor and some form of insulation and jacketing. The conductors are mostly metals like copper, tinned copper, and – in very special cases – alloys or composites can be used. However, unless you’re launching a satellite, running cable for the power grid, or implanting a gizmo into a human body, basic copper is what will be used. Copper conductors (or stranding) start life as a rock. Then with the help of a lot of energy, they end up as a rod about the size of a Sharpie®, which is way too big for a coil cord. The majority of copper falls into two groups: those that contain oxygen and those that don’t. Copper with oxygen has improved abrasion and corrosion resistance so it is mostly used in power distribution and transmission. Copper without oxygen is more resistant to embrittlement which can occur when the Sharpie® is reduced to the size of a human hair. So oxygen-free copper is used extensively in cables that need to flex. Coil cords flex a lot, so most conductors or stranding used in them are made from oxygen-free copper. 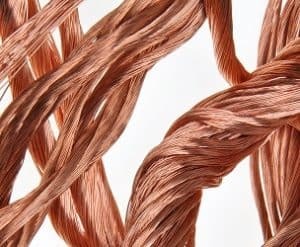 Copper with oxygen can be used to make coil cords, but, even though it’s lower in cost, Meridian will never use it because it fails much more quickly. Once the copper stranding is the right size, the next step is to decide if it should be plated or not. Below are some choices for plating. 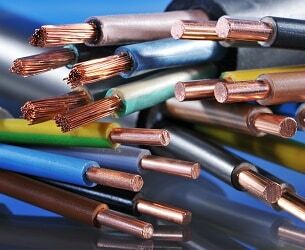 Copper without any type of plating is an inexpensive conductor material that can be a good choice if time and cost are considerations. However, this type of conductor is susceptible to corrosion and oxidation, which can hinder the connectivity. Since it is not as likely to corrode or oxidize, plated bare copper is more flexible. However, this type of copper is also harder to process after being made into a wire. Since it is bare, and oxygen is almost everywhere on Earth, this type of conductor oxidizes. An oxide layer on copper greatly reduces its conductivity and ability to bond with solder. So while bare copper can be used, and is more flexible, its service life is much shorter. If cost overrides quality/longevity in your application, then bare copper is an option, but the part will have a much shorter life, and that “life” starts the moment it leaves the wire drawing facility. Coating a copper conductor with a thin layer of “stuff” can offer additional benefits. However, it is also more expensive since it adds an extra step and more material is used. The most common coating on copper stranding is tin. This means the vast majority of copper conductors used in the electronics/telecommunications industry are tinned. Adding tin on top of the copper increases stiffness slightly but vastly improves its resistance to oxidation and corrosion. This improves the life of the resulting conductor greatly and makes processing much easier. 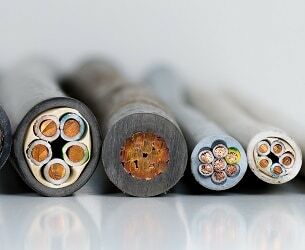 The additional protection is especially useful in cables that are used near saltwater or are immediately exposed to air and not covered by some material. Copper can be coated with other metals besides tin. For serious applications these coatings can be either silver or gold among others. Obviously these can add significant cost, but for some applications they are mandatory. Many medical, aerospace and military applications must have stranding with these types of plating since failure is not an option and extremely long life is required. Aluminum alloys only have about 61% of the conductivity of copper, but they are less expensive and significantly lighter. In general, aluminum has greater endurance fatigue (ability to be bent back and forth without breaking) than copper. So based on its great fatigue resistance, one would think it would be a great choice for a coil cord. However, as noted, aluminum is much less conductive than copper. This is okay if you’re pumping kilowatts of power across a grid, but in most applications, this decrease in conductivity means too much loss of signal or power to make it a good choice for most coil cords. Cable jacketing in a coil cord has two key roles: protection and memory. The jacketing protects the conductors from moisture, flame, chemicals, and other environmental factors. It’s also what gives a coil cord memory and makes it act like a spring. 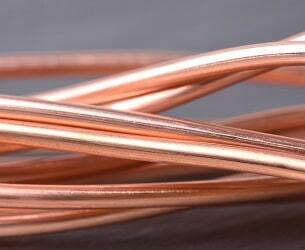 Copper is a “lazy” metal, meaning unlike spring metals, it is perfectly happy to stay where it’s put once bent. So, the jacketing is used to offset the copper’s desire to stay put. Coil cords have jacketing on the individual inner conductors and then an outer jacketing that covers all of those the inner conductors together. Polyvinyl chloride (PVC), polypropylene (PP), and polyethylene (PE) are all good options for inner jacketing material. While PP and PE are a little more expensive, they allow conductors more movement which enhances the cord’s retractability. For coil cords that require high retracting performance, the jacketing on the inner conductors can be polyurethane (PU), thermoplastic rubber (TPR), or thermoplastic elastomer (TPE). The outer jacket of a coil cord is a little more important since it is the first line of defense from environmental hazards and adds the most to the coil cord’s ability to extend/retract over many cycles. Materials commonly used by coil cable manufacturers include high-elastic PVC, PU, TPR, and (TPE). Each of these has strengths and weaknesses that should be evaluated carefully for the best performance. A reputable coil cable manufacturer is an indispensable resource when choosing materials for your custom coil cable solution. Make sure you communicate all the requirements for the cable as well as any time or budgetary constraints. The design team should be able to make recommendations for materials that meet your needs while taking advantage of the unique properties of coil cords. When you’re ready to discuss your next custom coil cord project, contact the team at Meridian Cable Assemblies. We look forward to hearing from you.